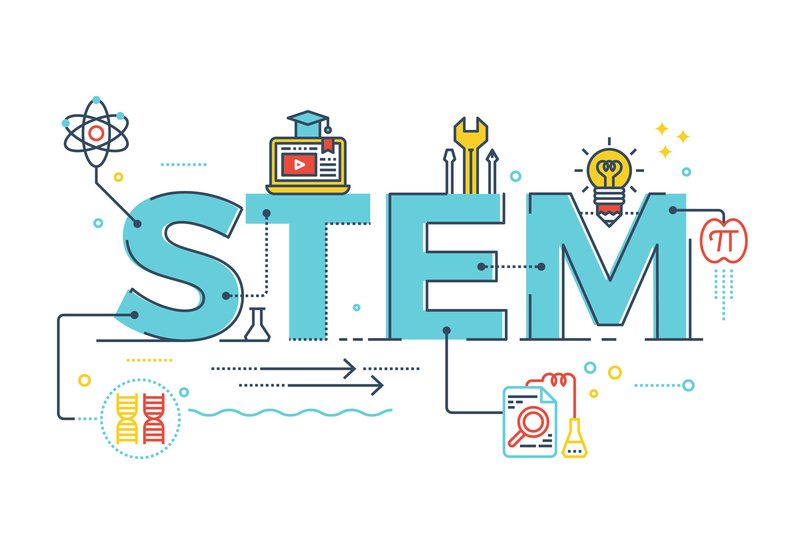 On May 10, 2016, the Department of Homeland Security (DHS)’s newly published STEM OPT rule will take effect. The new rule extends the initial 12 months of Optional Practical Training (OPT), available to all F-1 students, an additional 24-month period of OPT for temporary training that directly relates to an F-1 student’s program of study in an approved STEM (science, technology, engineering, or mathematics) field with an E-Verify employer. Although the new rule will allow for 7 extra months of total OPT time for these F-1 students, it also imposes new responsibilities on the employer. Below are some helpful tips for employers who plan to employ F-1 students under the new STEM OPT extension regulations. These obligations will apply only to employers of F-1s working on a 24- month STEM OPT approved under the new regulations (or a 7-month STEM OPT if the F-1 student already used the initial 17 months). They do not apply during the F-1’s initial 12 months of regular OPT or during a 17-month STEM OPT that was approved before May 10, 2016 and will not be further extended under the new regulation. One of the biggest changes and responsibilities imposed on the employer with the new STEM OPT rule is a requirement that the employer sign off on and comply with a new Form I-983 Training Plan. It requires a clear articulation of the STEM OPT student’s learning objectives and affirms the employer’s commitment to helping the student achieve those objectives during employment. The contact details of the individual who will be responsible for monitoring the student’s goals and performance. A description of the methods of oversight and supervision that generally apply to the OPT STEM student. It is possible for employers to use existing programs they have in place for the training; however, employers should be cautious in ensuring that the existing program covers the above mentioned points. An F-1 STEM OPT student trainee is obligated to notify the student’s Designated School Official (DSO) as soon as possible if he or she believes the employer is not meeting its obligations under the new rule and as outlined in the training plan. Terms and Conditions of Employment: The Form I-983 Training Plan will also require the employer to attest that the terms and conditions for the OPT training, such as the working conditions, duties, hours, and compensation, are commensurate with those applicable to employer’s similarly-situated U.S. workers. Similarly-situated U.S. workers refers to employees working for the employer of the OPT student. Employers are attesting in the Form I-983 that the working conditions, duties, hours, and compensation of the OPT student are similar to those of the U.S. employees working in similar roles with the employer. Prevailing Wage: There is no specific wage requirement for F-1s during their STEM OPT period. However, F-1 STEM OPT students should be paid a wage that is commensurate with the employer’s similarly-situated U.S. workers. If the employer has less than 2 U.S. workers in the area of the OPT employment, it may consider other similarly situated U.S. workers in the same area of employment. Unlike other OPT employment, F-1 students working on the 24-month STEM extension cannot be unpaid. Hours: The number of hours of work per week listed on the form must be at least 20. DHS’s Immigration and Customs Enforcement (ICE) has the right to conduct employer site visits to ensure that the STEM OPT student and employer are following the conditions laid out in the Form I-983 Training Plan. Notice of Site Visit: DHS will typically provide a 48-hour notice before conducting the site visit, however it can also make unannounced visits to the worksite if there is a complaint made against the employer or other evidence of employer noncompliance. It is also possible that DHS may request information from the OPT employer concerning compliance through email or by phone. Confirm that the employer has sufficient resources and supervisory personnel to effectively maintain the program. Ask employers to provide the evidence they used to assess wages of similarly situated U.S. workers. Interview the F-1 student and his or her supervisor. After the Site Visit: DHS may determine that an employer or student needs to submit updated or corrected information. This request will be sent to the employer in writing, with specific instructions on how the employer or student must submit the new information. DHS may refer matters to the U.S. Department of Labor or any other appropriate federal, state or local agency, should a site visit suggest violations of other immigration-related rules. Annual Evaluations: The STEM OPT student is responsible for conducting an annual self-evaluation based on his or her progress. The employer must review and sign the student worker’s self-evaluation to attest to its accuracy. Although not required, employers may also submit their own evaluation of a student’s progress. Any appropriate individual in the employer’s organization with signing authority can sign the evaluation that the student will submit to the DSO. The evaluation must be returned to the DSO within 10 days of the close of the 12-month evaluation period. Effect on U.S. Workers: The new rule requires the employer’s attestation on Form I-983 that the STEM OPT worker will not replace a full-time or part-time, temporary or permanent U.S. worker. DHS defines “replacement” as the loss of existing or previous employment with the employer. Permissible unemployment: DHS extended the maximum allowable days of unemployment for students on the 24-month STEM OPT extension to a total 150 days. Employers must notify the Designated School Official within 5 business days of the OPT student’s termination or departure from the employer. This differs from the 48-hour reporting period an employer has to inform a DSO of an STEM OPT F-1 student’s termination on a 17-month extension. E-verify: To qualify for the new 24 month OPT extension, employers must have an Employer Identification Number (EIN) and be enrolled in and using the E-Verify program at the STEM OPT worksite. Be actively involved in drafting and reviewing the training plan. Assign designated supervisors to maintain records of training plans and ensure compliance. Have an active protocol in place for unscheduled site visits, such as a designated point of contact. Remember to communicate any material changes in employment/training to the DSO right away. Ensure terms and conditions of the OPT training/employment, including wages, are commensurate with your similarly-situated U.S. workers. Ensure that the OPT trainee/employee is working at least 20 hours a week and not unemployed for greater than 150 days during their total STEM OPT period (12 months + 24 month extension). The substantially revised STEM optional practical training program will take effect on May 10, 2016. Employers who currently employ F-1 OPT students or may employ F-1 OPT students in the future should contact the experienced attorneys at Minsky McCormick and Hallagan with their questions.